With Chatbots being the new buzzword in the technology-driven industry, big players are now building tools that companies can use to create intelligent, automated conversation partners. 1. What is Oracle Chatbot? Oracle’s Digital Assistant has leveraged the power of Artificial Intelligence (AI) and Natural Language Processing to create cutting-edge chatbots – the only one of its kind in the plethora of ‘automated engagements with conversational interfaces’. 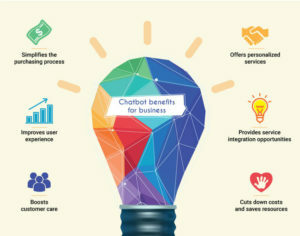 Chatbots are aimed at changing the connectivity paradigm for businesses by building bots that allows seamless connections with enterprise software. Oracle chatbot is essentially an AI-powered assistant built to boost business efficiency of any enterprise with cutting-edge technology and tools that seamlessly connects to your backend applications. Typically, digital assistants are virtual devices that help users accomplish tasks through NLP without having to seek assistance through numerous apps and web sites. Comprised of specialized skills, Oracle’s Digital Assistant is designed to validate user input, and subsequently route conversations using the relevant skills as a medium. The Oracle chatbot is a platform that has revolutionized digital assistants by enabling enterprises to use AI-driven interfaces for creating and deploying digital assistants for their users. 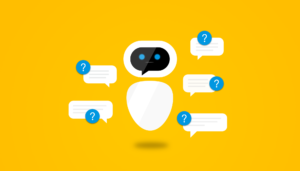 You add these chatbots or skills to digital assistants to execute tasks through a combination of text messages and basic UI elements or deploy them to multiple channels. – Efficient Customer Relationship Management applications ensure collaboration of the selling channels with corporate goals at a global level. – Service Management applications that boost information-driven customer service by making consistent and accurate information available. – Human Capital Management applications integrated with a chatbot helps your HR department maximize its productivity and leverage automation of manual processes such as bot-driven on-boarding of new employees. – Project Portfolio Management applications provide rapid access to project details and support the complete lifecycle of project and portfolios with a single, accurate view of related activities. – Advanced Procurement applications integrated with chatbots largely help organizations cut supply management related costs, and enables core decision-making with quick access to information on purchasing, sourcing, supplier lifecycle management, procurement contracts, and so on. – Supply Chain Management and Value Chain Execution group of applications integrated with chatbots offer a gamut of logistics capabilities that automate the entire supply chain processes including the design, planning and procurement, manufacturing and fulfillment, leveraging information-driven value chains as a solution. 3. How does Chatbot deliver? Oracle delivers personalized AI-driven Digital Assistants with chatbots that largely transform and simplify user engagement, boost efficiency, and enhance productivity. With the Digital Assistant, you leverage one comprehensive digital assistant that can be trained to support multiple-application domain skills from HR, ERP, CRM, and CX. – Usurping the power of AI, Oracle Digital Assistant proactively recognizes context, derives intent, and identifies and learns user patterns and behavior to automate routine tasks such as expense approvals and meeting reschedules. – Designed and built on the Oracle Cloud Infrastructure, Oracle Digital Assistant provides simple, single skilled, linear responses that have transformed standard chatbots available today, and offer digital assistance that can truly span the enterprise. 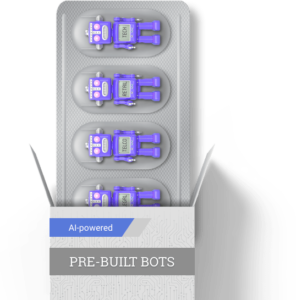 – Businesses are able to harness their own automation and intelligent bot development, where they are mapping how to increase engagement, drive efficiency, and lower costs. – Chatbots dealing with ‘low-fidelity’ interactions from customers essentially frees up call center resources to deal with inquiries that require that added human intervention.